iPaddock has been very good for our bottom line, but you might be surprised to know how, and why we started iPaddock in the first place. Not previously knowing what a blog is (or caring- am I allowed to say that in my own blog? ), I think this must be one. Welcome to my first ever blog! Anyone who knows me (Mic) knows I enjoy getting a bit deeper into things with people. One of my trusted learned friends (and employee) on the farm suggested I should share some of this stuff, and now, here we are. This may be my last blog if people don’t read it (and I wouldn’t blame you. I don’t read blogs either), but if anyone is interested, and I find the time there’s all sorts of interesting stuff going on over here that might get an airing one day. iPaddock is a bit different to your average startup. Actually it’s a lot different. Some of that is probably a subject for another edition, but if you’re reading this still then you might be curious why we founded iPaddock, and what our goals and dreams are. I use words like “us” and “we”, because it’s not just Mic Fels behind iPaddock. My wife Marnie is probably best described as a “silent partner”. I am the slightly “out there” one in our relationship, not exactly risk averse (I enjoy risk when I get to swing the odds in my favour), while she is the sensible grounded one who keeps me from doing anything too wildly crazy. Seems she failed when it came to starting up a tech company! On our farm, and in iPaddock, the mix of her soundness and my sense of adventure seems to have worked out pretty good so far! It’s often crazy, but we have a lot of fun. We won’t die from boredom. We now also have our CTO Rich Larcombe, (look out for a sensible looking version of Richard Branson), and Bruce Bartlett doing some very clever CAD design for our iPaddock machinery innovations. That’s enough already about the mechanics of iPaddock. 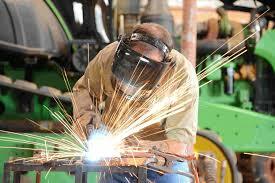 Ironically for me as a Mechanical Engineer, I get snoozy talking about the day to day mechanical side of life. It’s the vision and dream that fires me up every morning. My vision with iPaddock was to make a real difference to not just our farm business, but to all farm businesses, by solving some of the simplest, but really important problems that farmers face every day. I am naturally a curious individual (in many ways). When I was a kid I pulled apart broken watches, transistor radios (showing my vintage now), and basically anything else that was held together by screws. We had a farm bomb that Dad asked me to tow to the tip , and I asked “if I get it going, can I have it”, which was agreed on and I had a lot of fun in that car while learning how carbies and distributors worked. A 1973 HQ Premier wagon, what a shame I didn’t look after it a bit better, it would be worth a few bob by now! Classic. Engineering was my second choice at Uni because I didn’t get into medicine (a huge relief, I only put that first to please my dad!). I got lucky, because engineering was a mind bendingly fascinating course, especially by the final year when we finally had the skills to convert all of the intense maths into solving some unbelievably complex physical problems. My honours thesis was titled “The Aerodynamics of a Variable Area Wind Turbine”. Sadly it’s out of print now, if you were chasing a copy for some light bedside reading. Even sadder is that when I look at the equations I myself wrote back in 1990 I don’t even remember what the symbols mean, let alone how they worked. Not a lot of need for array analysis and iterative calculus, even in modern farming (not yet anyway). I can sadly vouch that “use it or lose it” applies when it comes to university mathematics. Taking what these days you would probably call a gap year at the farm with Dad, which turned into a couple, I was promptly talked into buying a farm (by Dad- I had no idea). With no money or assets, this literally meant buying whatever junk Marnie and I could afford at clearing sales, cobbling it together and somehow growing a crop with it. Miraculously that by and large worked, we upsized in 2002 into a good area, kept upsizing, and by 2011 had ourselves not only a decent sized farm in a good area, but enough resources to have some decent equipment with which to farm it. Luck played a big part in this incredible ride, but working out efficient solutions to old problems was an essential pre requisite from day one as well. At every stage of our growth, working out how to “do more with less effort” unlocked the next ride on the roller coaster. I remember being staggered at how much more grain I could harvest in a day with actually less effort when I got my first decent header (it was a Case 2188 with a 36 foot front: 35 t/hour, what a beast! ), and realising that all we had to do to make major financial gains was employ technology that leverages our skill set over a larger program. 2011 marked another turning point for us, when Apple launched the “iPad”. We were given 3 free iPad “1”s with a chemical order from Farmsave (another important disruptor in the ag market: keep an eye on Farmsave). This pretty little wedge of glass and metal on my hand felt like the 2188 rolling into its first paddock, except it didn’t have the 36 foot front on it: yet. It was just sitting idle in the corner of the paddock. I was sure there must be some apps out there that would unlock the productivity gains from this user friendly, mobile bundle of magnificence, yet all I could find were compliance apps that were direct descendants from old PC based farm compliance programs, hailing from a bygone era. I had never in my farming life had the discipline to retrospectively enter all my records into some product just for compliance sake (I still don’t), even though I know compliance is important. Besides, I was looking for productivity gains, not a productivity loss tied to entering records into some compliance app. Why couldn’t an app improve my productivity and achieve compliance as a consequence? It seemed blindingly obvious to me, but clearly not to the people selling this stuff. While this was happening, I was slowly getting bored on the farm. We’d cleared a heap of debt, had some good years, developed a pretty dependable system on the farm, and life was generally fairly cruisey. Does that sound excruciatingly dull to you? Unfortunately, that’s how it felt for me! We had also hit a bit of a false ceiling. I felt that if we grew any bigger, I would not have the personal capacity to manage it all in the way I like to do it (ie. properly). We needed to be able to do more, with less effort. And here in my hand was the machine with the potential to make that happen. Using Excel (that is a seriously underrated piece of software by the way), I went flat out into building some pretty cool and really quite elaborate spreadsheets to implement some of the systems and decision making tools that I had been using at my office desk up until this time. Hooking them up to Dropbox, and giving our staff their own iPads with prepaid simcards in them, suddenly we hit another gear in terms of streamlining our operations (especially spraying. Any farmer reading this knows that spraying these days is a hugely critical operation, both in timeliness, and the horrible cost if you make mistakes). With this bit of trickery in place and firing on all cylinders, we started buying more land, employing more people, and the best part was we didn’t have to trade off the quality of what we were trying to achieve on the farms. Actually, we were doing a much better job. Doing more, with less effort. The downside was that while it worked, the excel-dropbox package was pretty clunky for this role, and it relied on me to be able to resolve conflicted files, and fix damaged spreadsheets. Working closely with our farm staff, we had a very slick system fully operational by 2012, albeit as this kind of workaround using generic software, and yet there was still no sign of anyone in the market getting any closer to making this kind of “productivity boosting” apps. The combination of restlessness and necessity got me thinking about doing it ourself. Starting a tech company from scratch was even outside of my comfort zone, so as you can imagine Marnie wasn’t initially overly enthusiastic. We had the resources to do it (even if we didn’t know how), our farm needed it to be done, and the final nail in the coffin was that we both felt (well, maybe it was just me) “we didn’t want to die wondering”. 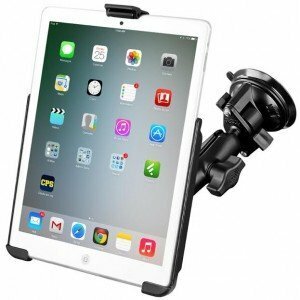 We established iPaddock, found (by a process not far different from the dartboard method) an IT company in Perth, shortly afterwards found some good lawyers, soon after which we found another IT company in Perth, who built iPaddockSpray. It was and is a very cool app, that I am still very proud of. As a farmer I afforded myself the luxury of doing it the way I wished everyone else would do it. How do you build an economic model for a product which has never existed, using new technology, in an unexplored market that you know very little about? My answer at the time was, you don’t (which is completely at odds by the way with the forensic analysis that goes into every business decision on our farm). Our apps were going to be cheap, simple, effective, fast, and there would be no subscriptions bleeding the poor customers dry like every one else seems to think is reasonable these days. 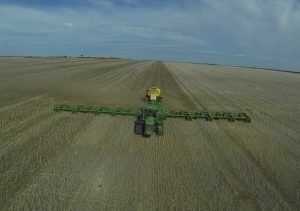 Word of mouth would sell thousands of them, because farmers would be so pleased about all this, they would tell their mates, and all the other providers of tech would realise the error in their ways, and follow this farmer- friendly way of doing business. Happy days! Of course that was (and still is) just plain crazy. Yet despite all that insanity, that is still iPaddock’s business model today. We have poured more than you would care to imagine into developing our apps (think of a number, double it, add 200% and then multiply it by 2. That should get you pretty close). There was however a second prong to this crazy, outlandish business model, and that was that our own farm business needs these tools. From day one (the day of the “don’t want to die wondering” conversation), my pitch to Marnie which I think got her over the line, was that there are millions to be made in our own farm business from using these tools, and that has unquestionably been the case since we started using them. We literally can no longer afford not to have them. That, folks, is how we REALLY make money out of iPaddock. Building our own apps has been like building our own machine that grows us a 20% better crop (I’m working on that too, by the way). It’s expensive, time consuming, RISKY! And there is no guarantee that someone else will buy it from you one day. But if it grows you a better crop that pays for the initial cost many times over, the extra profits are basically free money. Anyone who follows the startup world will know that the lofty goal of targeting big profits from day one can actually be a kiss of death. Twitter became a billion dollar company with nil revenue earned. The value in a business is in its products, people, vision, and execution. It is also a pure factor of its resilience (90 percent of startups are gone after 3 years). iPaddock is not your typical fly by night startup. It is the physical incarnation of our passion and vision for agriculture as we know it can be. We do this because of passion, not just for money (although the money is nice too), and in my experience as a consumer, more of the latter leads to more of the former in a world where people are looking for integrity and confidence, and a product they can believe in. 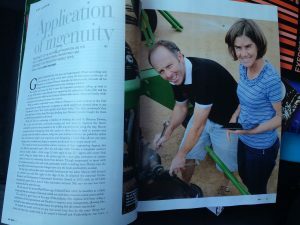 My legitimate challenge now is helping other farmers to realise how much they can gain from making an infinitessimally small investment (both in money and in time) into these tools, which our own farm business has been richly rewarded for, even at the princely sum we have paid to build them from scratch. Founding and furthering iPaddock has been an incredible journey, and unlocked some amazing opportunities both for personal and business growth. What you see of iPaddock now is just the visible part of the iceberg, and if I’m around long enough, and continue to grow iPaddock to where I know we need to be organisationally, there are some very cool things that I can’t wait to do. In the meantime, every year we clock up the benefits of using iPaddock technology on our farm, and I get a the world’s biggest thrill when other farmers tell me they do too. Best of all, we won’t die wondering. In a world awash with technology and data the biggest hurdle is identifing the value of individual data sets and how to manipulate them into profitable decision making. Large public investment has been made into developing agricultural decision making tools that access and use multiple data sources, however the algorithms are often widely inaccurate when applied to the paddock level. 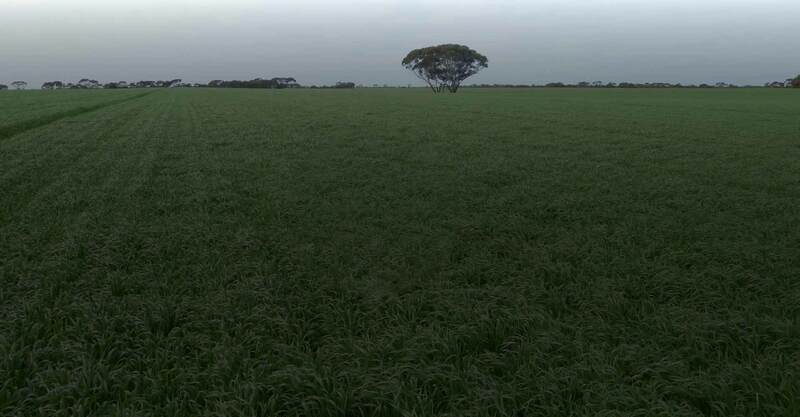 Because broafacre ag especially Australian broadacre ag is particularly prone to huge variations in rainfall, temperature, soil type and soil constraints building a predictive model is difficult, especially to be valuable at a decision point often months ahead of harvest. iPaddock is as close to the ideal model yet that I’ve seen. You are right Mic, build and refining it for your own value adding exercise is the best method to critique its performance. you make some great points there. Accurately targeting inputs to the expected yield outcome has become central to modern farming which as we all know is subject to ever tightening margins. Thankfully there is a lot of activity in this space these days, including substantial GRDC (https://grdc.com.au/resources-and-publications/groundcover/ground-cover-supplements/gcs106/profiting-from-yield-data) and CSIRO (https://www.csiro.au//en/News/News-releases/2018/New-app-gives-farmers-real-time-grain-of-truth) investments that you yourself have played an important role in steering. All of these layers of knowledge are very complementary with iPaddockYield, and our own farm business is rapidly improving on the back of knowing what our real potential is, and how close we can get to achieving it. Now we are working on taking the iPaddockYield approach down to the pixel level, which will hopefully trigger another step change in precision ag and its adoption for improving farmer’s profitability. Watch this space! 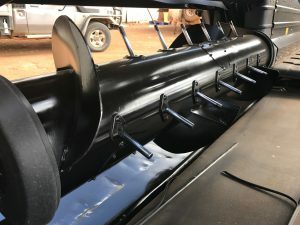 → Will Turbodrum help feeding in light or drought affected crops?